Give the holiday gift of elegance with this festive arrangement of red asiatic lily, white freesia, blue-berried juniper, and white pine. 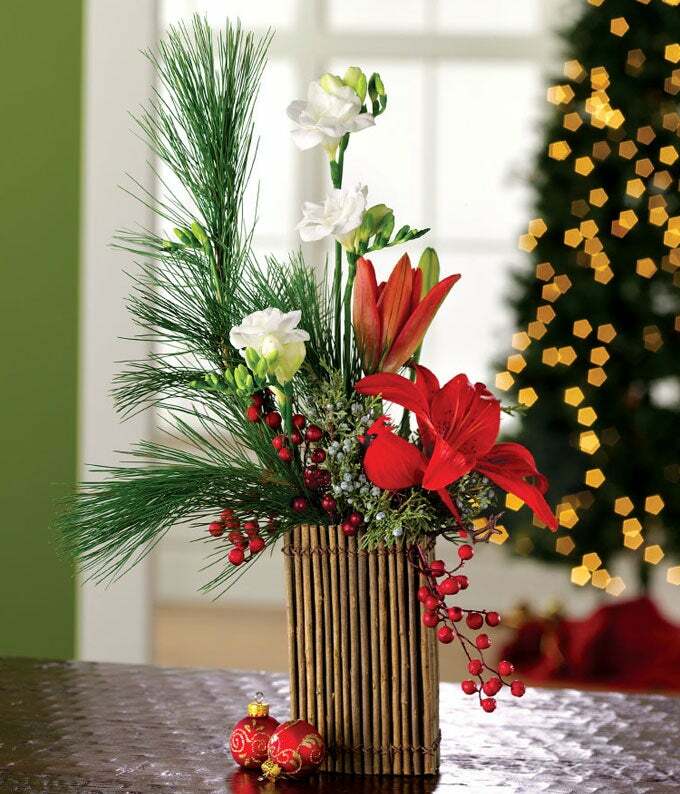 This splendid arrangement is hand-crafted in a 7"H rectangular willow container and adorned with a vibrant cardinal to add the perfect Christmas touch. Measures approximately 21"H x 14"W x 9"D.